and how can I participate? NPCs at ConQuest do play full fledged characters and have as intense and thrilling gameplay as any player. But they do have less influence on their characters story, motivation and demeanor. Most NPCs at ConQuest are part of the Forsaken armies (consisting of the "Black Ice", "Undead Flesh" and "Army of Doubt"). Together these armies are the players adversaries, the "evil" side who get their orders by the GMs (or their general army motivation and goals). Each of the Forsaken armies has it's individual background story and unique style. Extensive manuals are available in German and English, detailing both and including lots of pictures and do-it-yourself ideas for the characters gear and costume. All guidelines clearly state the minimum of necesseties (e.g. "only wear black and blue if you are part of the Black Ice army") and expand from there with details about armour, weaponry and much more. Please note: All signed up NPCs get access to our "deal shop". There they can purchase complete armour- and equipment sets specifically for the Forsaken armies. The prices are highly discounted and ONLY available to owners of a NPC ticket. For every army there are several sets - starting with "light and inexpensive" up to "very heavy and still affordable". All Forsaken NPCs have one single goal: to make it as difficult as possible for the players to reach theirs. This includes patrols to remote areas as well as large scale attacks on the Element Banners. At no time and place should the "enemy" feel protected - because it would not be an adventure if it weren't dangerous! Forsaken NPCs try to put up the perfect show for players - during battles and aside from them. But if no players are in sight, NPCs do not need to be "in play". This makes a lot of things easier - especially in basic logistics like where to get water, how to get to a battle or the decoration of ones campsite. The NPC camp is completely "out of game" meaning you do not have the same restrictions concerning ambience tents and (e.g.) cooking-equipment as the players. NPC Fullequipment in the NPC Store! Directly to the big NPC Community! With the help of a sorting list (German: "Zuteilungsliste") the army structur is created. This is done by the NPC community internally. The GM and ConQuest organizers appoint "Liable Custodians" for each of the armies who are also part of said army. Together with the armies GM team they support the NPCs around the year as well as on site. The armies generals do not change often and are usually the same every year (as long as they are not defeated by the PCs). How officers high and low are appointed differs from faction to faction but it always starts with the "sorting list". All information on that and lots of other stuff (including all manuals) are available at the "NPC portal". The NPC portal is a restricted social media site where NPCs can exchange ideas and best practices as well as download all kinds of background material and styleguides. The rumours about the evils lurking beneath the seals had long been made a fact. Of all the scourges of the first creation, the Black Ice was the first to strike fear in the hearts of the settlers. Driven only be the will towards perfection the Black Ice knows no mercy or compassion but only the endless flow of soldiers, Rakhs, formed by the collective will of the Amôn’Kharr and sent into battle. First of the Forsaken Elements to break forth from a seal, the Black Ice has long held the status of a symbol of the Forsakens’ power and today, after the war at the opening of the final seal, the essence is stronger than ever. Since the Black Ice absorbs everything it learns about the conflict, learned from the minds of thousands of settlers, it continues to develop and stands ready to conquer Mythodea, be it settlers, the hords of the other Forsaken, or even the armies of the Ratio in its way. Just as the Black Ice, the Undead Flesh had been stuff of rumours for a long time. A story to scare little children, told by those who wanted to keep the south of Mythoea for themselves. Yet when the seal was opened and the endless army of undead bodies from the crypts of Ankor Mortis came forth, the true power of the fiend of all life became apparent.The Undead Flesh and the Bone Queen, as its immortal goddess, were said to be invincible. That why it came as a surprise to everyone, especially the host of the elements, when the Bone Queen suddenly disappeared and rumours of a rebellion in the capitol, even the death of the Bone Queen began spreading like wildfire. In this dire situation the leaders of the fighting Lairdoms turned to the Heralds of the Ratio and forged an alliance to fight against the settlers and recapture the capital. And even though some see the events in Ankor Mortis as a chance it doesn’t change the fact that the Army of Doubt is now made larger by the rusty swords and ancient shields of the Lairdoms and thus has made an infamous and feared ally. 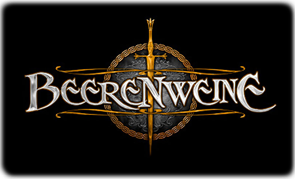 Betrayed by their former servants, despised by all those for whom they accomplished their greatest work, hated by those who let themselves be prophesied of the elements, as they have to think, the Urzweifler fled once to Kelriothar, into the mirrored world. In this true Second Creation, they formed a society whose only goal was the pursuit of knowledge and enlightenment. Carried by the faithful Kan, animated and inspired by the Toria Edalphi and Ouai, led by the Rikan and Shahrikan, this company is more than ready to face up to all those who once once imprisoned them. The Oily Pestilence came into being through more of an accident, but it was rooted in the intention of wiping all sickness from the face of Mythodea. From the experiments of the Anscient Rulers sprung something that soon couldn’t be reversed or even stopped. Sicknesses spread and had only one goal: To feed and multiply. Trying to live with this new creation, to stem its flow, the Biothaumaturgs and Dreamwalkers came into being, who use the Pestilence but at the same time are its most tragic victims. The Void, the utter and complete absence of everything, used to be a game of thought in the beginning. A construct, a theory never to be tested. But without fail there would be those among the Ancient Rulers who would not respect the boundaries and try to take steps which would endanger creation as a whole. They created a Forsaken Element whose sole purpose was the elimination of everything that exists. That is how the mighty Nophobos came into being, the cunning, sadly beautiful Viinshar and the invincible Phobosaar, always ready to spread the negation of all being. Be part of your greatest adventure!